Store your files. Your files are hosted on our secured servers. You will no longer lose all your files in case your computer "crashes". Access your files from any computer. Wherever your are, connect to the Internet and have access instantly to all your stored data. Share your files, videos, photos and more that are too large to e-mail. Invite others to access designated folders in your Online Drive. We place your files' security and confidentiality at the heart of our solutions. That is why we use state of the art redundant servers as well as strong encryption algorithms. With 250GB you will be able to store 100000 pictures, 5000 albums or 350 movies. If you need more space, the size can be increase up to 20TB. Download your files stored on DotSpirit as many times as you wish, with the unlimited transfert. No more problems to store and share large files, even gigabytes files. Upload and download entire folders from a simple clic. - back up open and locked files, even Outlook.pst ! DotSpirit Backup can be installed on an unlimited number of computer with Windows or Mac. With DotSpirit Backup you can perform mirror copies to have on your DotSpirit Online Storage an identical copy of the local folders you want to backup. DotSpirit Backup can automatically encrypt your files before sending them through FTP on our servers. File encryption ensures confidentiality of your most critical data. Nobody can read the content of your file without the encryption key. With the Volume Shadow Copy (VSS), DotSpirit Backup can backup all your files, even the files opened and locked by Windows. You no longer have to close Outlook to backup Outlook.pst ! Mount your DotSpirit Online Storage account as a local drive (S:) on your local PC. You don't need to run an FTP client anymore, your DotSpirit Online Storage is accessible directly from Windows Explorer. You can also edit your remote files directly within your favorite software (MS Office, Photoshop, ...). Syncing your files between all of your computers with Windows is what our software DotSpirit Box is all about. All you have to do is install the DotSpirit Box application and sign in using the same login on all your computers. Simply adding files to your DotSpirit Box folder will automatically sync the file to DotSpirit, which means you can open it from any other computer that also has DotSpirit Box installed. With our secured web interface, your login details and your all files are encrypted with 256-bit SSL protocol before being sent over the internet. It ensures the confidentiality of your login details as well as all your files stored on DotSpirit servers. Our secured web interface is accessible from any computer/tablet/smartphone equiped with a web browser. With the search engine, you can find in seconds any file on your Online Drive. Many search options are available: file name, title or description. With our built-in video player, you and your guests can instantly view videos stored on your DotSpirit Online Drive. No need to download the file on your computer. With our built-in MP3 player, you and your guests can instantly listen to any mp3 file stored on your DotSpirit Online Drive. No need to download the file on your computer. In one click, produce a slideshow of all the pictures included in the selected folder. No need to download the pictures on your computer. Open and edit your Microsoft � Office documents wherever you are. No need to install any software nor to pay any software licence. The mobile application is available to every DotSpirit user (administrator or guest). 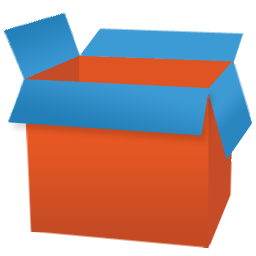 Use the FTP client of your choice to transfer and synchronize your files in a more flexible way. For each guest , choose the folder you want to share. The guest will only be able to access this folder. In order to access a share folder, each guest has to have a user name and a password. The confidentiality of your files is then protected. Create an unlimited number of FTP accounts. Each FTP account can be assigned to the folder of your choice. You can generate a "Download Link" for every file. Send this link to a friend and he will be able to download the file instantly, without having to register to DotSpirit. Monitor how many persons have downloaded the files you have shared. Send files to your friends and colleagues by email, directly from our web interface, even from computer with no email application configured. Publish Direct Download Links on your Facebook Wall. Send files to Twitter directly from our web interface. Every time a file is uploaded on your DotSpirit drive, the RSS feed is updated. Everyone who has subscribed to that RSS feed will instantly know that the file is available on your DotSpirit drive. Of course, every guest account has its own RSS feed. With collaborative working, users can work simultaneously on the same Word, Excel and PowerPoint documents. See other user modifications, comments and messages in real time. With the "HotLink" option, shared files can be downloaded quickly, without the restriction of a download page. To ensure your files' safety, our server are located in one of the biggest and most modern datacentre in France. All your data ar backed up daily on a second server located in a geographically distant location. This provides the best possible protection for your data ! Our servers are fully redundant (RAID 5 structure) which means that your data are backed up in real time. No risk to lose any data even in the unlikely case of a material failure. For us, the confidentiality of your data is a priority. This is why we will never use your data for targeted advertising. Check the integrity of any file stored on DotSpirit by comparing its automatically generated MD5 checksum code, with the source file MD5 checksum code. � 2006 - 2019 Help4Net Ltd.